Simplicity is the key with many Lemnos timepieces and in this case it’s no exception. The bedside table design of the Lemnos AY Alarm Clock offers the precision time keeping you need to stick to your schedule as well as modern Japanese design and a really functional and easy to use interface. 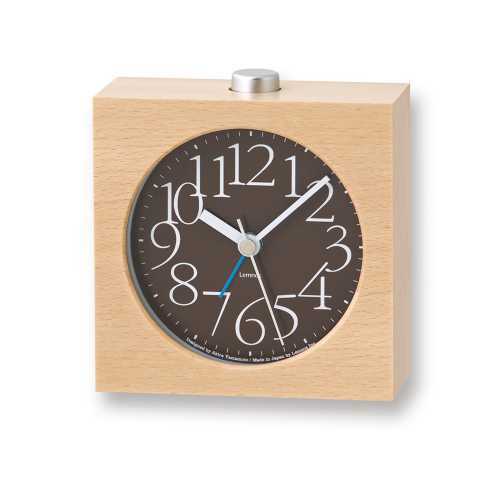 The Lemnos AY Alarm Clock is a celebration of the ancient Garamond font and it gives it a modern twist. 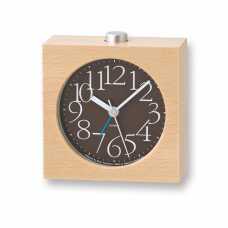 The AY clock face is held within a smart natural wooden block and other elements of the clock are constructed from plastic and glass. The clock runs on an AA battery and features both a snooze function and light to ensure you can illuminate the time whenever requires. The AY Alarm Clock can be enjoyed in red, white or brown clock face and it measures 11.3cm in height with a width of 10.8cm and a depth of 4.8cm. Genuine function and style is achieved by Lemnos with their AY Alarm Clock and it also celebrates a classic typeface with real warmth and care. If you would like to find out more about Lemnos and their larger collection please visit our dedicated brand page.